The Gigaset SL910 is a cordless phone that combines design and intuitive features. It has a touch user interface and a large 3.2 "color screen. The Gigaset SL910 is a cordless phone that combines design and intuitive features. It has a touch user interface and a large 3.2 "color screen. You can easily navigate through the three home screens, which works conveniently divided into call center, message center and customizable information center. The Gigaset SL910 wireless phone features a large 3.2 "touch screen, it provides quick access to a wide range of calling features, and a talk time of up to 14 hours and a standby time of up to 200 hours. 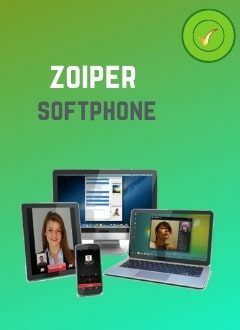 It includes the functions of recording calls received, made and lost in the message center, and you can customize information such as: calendar, clock, directories and more. The photo contact function makes incoming calls instantly recognizable by you. The drop-down address book has a capacity of 500 records, each with up to 8 phone numbers. The Gigaset SL910 is equipped with Bluetooth technology, which offers you the convenience of your calls and the synchronization of your Outlook contacts via Bluetooth or mini-USB. Download caller ID photos or music files for your ringtones. Bluetooth connectivity will also provide the convenience of having your hands free, by easily installing a Bluetooth wireless headset, with which you can talk. 3 types of waiting screens, 1 configurable. Identification of the call by number and photo. 20 ringtones, 5 polyphonic and 15 reais. VIP calendar with ringing assignment. Adjustable volume for headphones and microphone. Headphones connection via Bluetooth, DECT, or mini-usb. Ethernet port on the base for software update. Directory of 500 records, with 8 fields each. Transfer the phonebook from other DECT terminals and via Bluetooth. Record the last 20 calls received, made and lost. Abbreviated dialing of Outlook contacts via PC. Calendar, alarm and date reminder function. Expandable up to 6 additional terminals. Autonomy in use / standby: 14 / 200h. Range: up to 50m indoors / 300m outdoors.